Situated a short walk away from the Elk Country Visitor Center, the ECCO (Elk Country Campus Outdoors) Building compliments the Center in its LEED “Gold Certified” Designation. This 3,200 square foot educational facility features glass walls that not only provide captivating views of Elk Country, but also can be opened to transform the building into a giant outdoor pavilion. 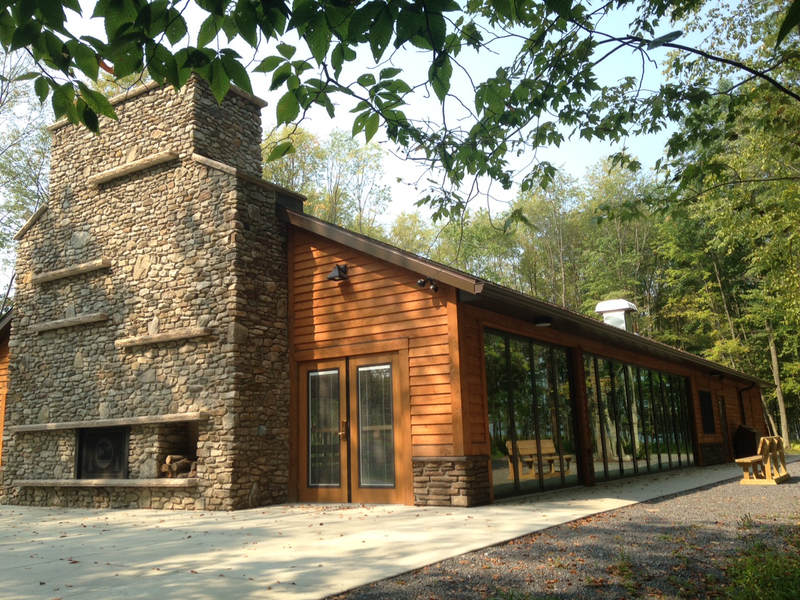 In addition, the ECCO Building contains a kitchenette, restrooms, and a towering fireplace made of stone from the Visitor Center’s property. With its beautiful charm and premier elk viewing location, the ECCO Building has also become a prestigious destination for weddings, reunions, and other social events when it is not being used for educational purposes.